Eggs are the hats of the food world. When applied correctly, they can make anything look stylish and tasteful. 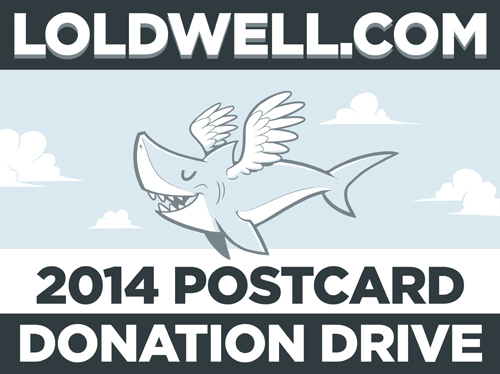 Okay that was fun now it’s time for your weekly POSTCARD FUNDRAISER REMINDER!! From now until the end of January, all donations go to support Unicef! Each postcard comes with a free drawing of your choice! Go here to donate! Step number 4 is to call an ambulance in order to get your stomach pumped. I suppose if you are allergic to eggs, then yes. Hm… I did that once… didn’t turn out too well. This is true, but I was implying that the food combination of spaghetti, hot dogs, and ketchup (plus the egg on top) would be so bad that you’d have to call the paramedics for help. Still, you’re the boss, Caldy, so you get to call it as you see it. You must believe in the power of Egg above all else. I hereby nominate this for Top Comment of 2014. Hm, sounds like someone is just scared that he is gay, so he must go and taunt the very thing that he thinks is bringing out his true gay inner self. Says the person who is currently going around and insulting the creator. If you don’t like the artist’s comics and can’t say anything nice, then get the heck out of here and don’t visit ever again. End of story. You don’t need to be here throwing insults because you disagree with something that is posted on this site. You are just ruining your own integrity commenting the way you are with each comment you make. Hey, know what? I’m the gayest person here. I AM. NOT ANYONE ELSE, I AM! actually you’ll have no idea what you can make..heck I made bread dough that didn’t rise and deep fried it until it was nearly solid and bam…bread jerky. This is basically the recipe for Japanese naporitan. Japanese people are pioneers in the world of lazy food.